Ok, I admit it – the title of this post is a little misleading. 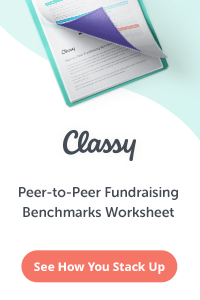 Nothing is really, truly easy when it comes to fundraising. But – and anyone who has been fundraising for more than a few years can back me up on this – some things are easier than others. Lots of non-profits need to raise more money in a hurry, for one reason or another. And many of those organizations start the process of raising more with extremely complex, time-consuming plans. They write huge grant proposals, cold call large donors, or try to hold a new gala event. These are hard ways to raise more money. I’m not saying they don’t work, or they aren’t worth the effort (in the long run), but if your organization needs to raise more money – now – you’re better off going for the low-hanging fruit. As a general rule of thumb, if you want to raise 10% more at your non-profit this year than last year, then your best bet is to ask each of your current donors to give 10% more this year. Not all will say yes, but many will – and getting donors to upgrade is far easier than finding a new donors to start giving for the first time. The best way to get donors to upgrade is to directly ask them… For your largest donors, this means sitting down across the table from them and making an in person ask. For mid-sized donors, this means picking up the phone to make the ask. For smaller donors, the upgrade ask can be handled through a letter or through e-mail. People don’t give (or upgrade) unless they are asked. To learn how to effectively upgrade your donors, read How to Upgrade Your Donors. Lapsed donors (people who used to give to your non-profit, but no longer do) are another major type of low-hanging fruit for your organization. Think about it – these are people who used to give to your non-profit, then for one reason or another stopped giving. There’s a good chance that if you reengage them the right way, they will consider giving again. As with all fundraising, the best way to approach lapsed donors is with a personal visit or meeting. If that’s not possible, then try using a phone call. 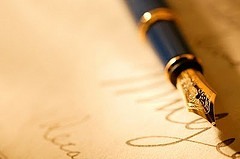 For lower-level donors, you may also find success with a snail mail or e-mail reactivation letter. 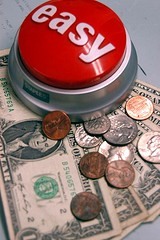 Lapsed donors won’t start giving again unless they are asked. To learn how to reactivate your lapsed donors, read How to Get Lapsed Donors to Start Giving Again. 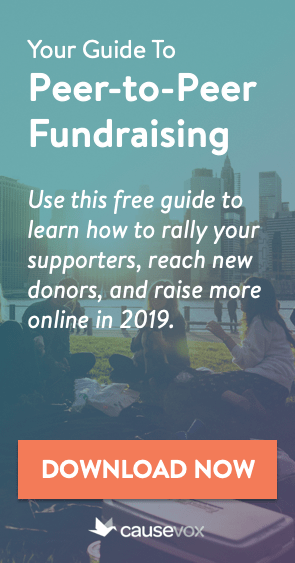 If you need to raise more money in a hurry, setting up a new event is probably not worth the time and hassle, because events normally take time to mature and get better (and more profitable) year after year. However, if your non-profit has regularly scheduled events already on the books, a great way to raise more money for your organization is to raise more money through the events you are going to have anyway. And the best way to accomplish this is to focus on bringing in new sponsors and upgrading past event attendees to become sponsors. The profit on most non-profit events comes disproportionately from sponsors. Smart non-profits raise 60-80% of their event revenue from sponsorships, and fill-in the rest with ticket sales and add-ons, like auctions and raffles. Sponsors provide more bang for your buck, and more possibilities for your limited fundraising time. I’d rather find one $10,000 sponsor and have to give away 100 $50 tickets to fill the room than sell those tickets at the expense of finding sponsors. If you want to rapidly raise more money – start finding new sponsors (and upgrading current ones) as soon as possible! The single best place to find new donor prospects is inside the rolodexes of your current donors, board members, volunteers and staff members. When was the last time you talked with your current donors to ask them to open up their own rolodexes and introduce you to their friends, neighbors, clients, vendors, and colleagues? Start asking each of your board members, donors, volunteers and staff members for referrals now. Then, since you need to raise money quickly, implement the “Four Month Strategy” for those new prospects. Every time someone introduces you to a new potential donor, make it your goal to make contact and cultivate the donor such that they are ready for an ask in four months or less. It can be done, without sacrificing the quality of your cultivation funnel. Has your non-profit harnessed the power of sites like Indiegogo, Kickstarter, DoJiggy Pledge or Fundraise.com to run a crowdfunding campaign for your organization? Online crowdfunding campaigns are a great way to raise a quick $10,000 – $50,000 for your non-profit. Every non-profit has the power to run a successful crowdfunding campaign, and it takes less effort than you might think. If you need to raise money quickly, consider launching a crowdfunding campaign today. Want to learn how to run a great crowdfunding campaign? Read How to Use Crowd-Funding Sites to Raise More Money for Your Non-Profit. Want to know how to send out a fundraising letter to your housefile (your current donors) and get them to give more than they ever have before, without having to make it sound like the organization is having a funding “emergency?” Try a matching donation challenge! Ask one of your larger donors to pledge a large amount as part of a dollar-for-dollar matching challenge for your next fundraising letter. Then, send out a letter to your entire housefile telling donors that every gift they make will be matched dollar-for-dollar by a generous donor, but only if the donation is received by a certain deadline. Donors love to leverage their gifts, and if you write a compelling letter, your housefile donors will likely give more than they otherwise would to participate in the matching campaign and help you reach your funding goal. Does your non-profit have a long list of corporate event sponsors and/or businesses that make in-kind donations (or silent auction donations) to your organization? If so, have you tried turning those donors into annual donors who give cash to your annual fund? Corporate and in-kind donors give for the marketing benefits you offer them, but they also likely have a strong affinity for your cause and your organization. 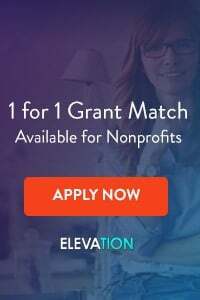 Leverage your relationship with them by going out and sitting down with them to ask them to consider making a monetary donation to your organization, in addition to their event sponsorship and/or in-kind donations. Remember, like all donors, they won’t say “yes” until you ask!